The lightweight, portable Behringer EUROLIVE VP1520 1,000W 15" PA Speaker offers powerful, pristine sound. Use the EUROLIVE VP1520 PA speaker as a component in an expandable sound system, with both 1/4" and professional locking-style inputs and outputs, pole-mounting sockets, and recessed handles. The Behringer VP1520 speaker's heavy-duty 15" low-frequency driver delivers thumping bass and powerful midrange clarity while a high-frequency compression driver cuts through the mix with smooth, shimmering treble. 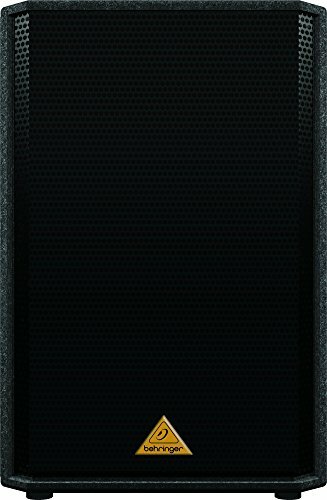 This versatile Behringer loudspeaker brings the promise of years of faithful sound reinforcement, ensuring that your music is heard the way you want it to be.